What would we do without those sweet and savory baked goods that make meal time and snack time so delicious. The art of baking is something that is universally enjoyed as each country and region has their own delicacies and special treats. Today’s holiday was established to celebrate all types of baked goods and encourage everyone to try this rewarding activity. To enjoy the day, learn about a baked good from another culture, try a new taste sensation, or find a new or old recipe and make yourself a treat! You might love lemon cookies, chomp chocolate chip cookies, and munch macaroons, but do you know where cookies came from or their perhaps less-than-delicious beginnings? Well, one of our fav snacks most likely got its start on a hot rock around 10,000 years ago. Ingenious farmers created a paste of wheat and water and baked this concoction by the heat of the sun. Convenient? Sure! Tasty? Maybe not so much. Image copyright Kelly Kennedy, text copyright Jody Jensen Shaffer. Courtesy of Simon Spotlight, Simon & Schuster. As time went by and people began traveling more, new ingredients, such as ginger, cinnamon, nutmeg, and powdered deer horns were introduced. Wait!…What? That’s right…ground up deer horns were used like baking powder and baking soda are used today to make baked goods rise. It wasn’t until 1850 that those conveniences came around; and not until the early 1900s that ovens and refrigerators made baking and storing foods easier. English and Dutch immigrants brought these hand-held treats to America, and while everyone enjoyed them, during the Revolutionary War Americans didn’t want anything to do with British things. This might have been when we adopted the word “cookie” instead of the English “biscuit.” Whatever they were called, though, they were still mostly made in home kitchens. That changed when a New York company imported machines to make crackers in factories and cookie companies followed suit. But why are cookies so popular at this time of year? It seems that long, long ago, fruit and nuts were considered party food. I know, right? As time went on people rethought their party platters, and cookies won out. Even Queen Elizabeth I got in on the fun, having “gingerbread men made in the shape of her favorite advisors. Sweet!” Of course, she’s not the only famous person to get special cookies—how about that jolly old elf in the red suit? You’ll have to read the book to see how that tradition got started. Let’s just say that around the same time, another tradition took off—that of putting chocolate chips in cookie batter. Of course cookies kept evolving by adding different flavors, changing shapes, including filling and in other ways. Today, stores shelves and bakeries are loaded with a vast variety of cookies, and home bakers are inventing new recipes all the time. Cookies are favorites the world over, and lucky for us they have a very bright future! After becoming a “history of fun stuff expert on cookies,” readers can learn even more with pages dedicated to traditional cookies from around the world, the science behind baking cookies, and of course a recipe. There’s even a quiz so kids can test their newly acquired knowledge. In her History of Fun Stuff: The Way the Cookie Crumbled early reader, Jody Jensen Shaffer introduces kids to the fascinating origins of one of their favorite snack foods. With tidbits sure to amaze and even raise giggles, Shaffer reveals not only the history of cookies, but facts on the development of cooking, the changes in baking methods, and the beginnings of automation. Her breezy, conversational style is perfectly aimed at her young audience, and the inclusion of facts on well-known favorites makes history relatable, relevant, and entertaining. Kelly Kennedy infuses his cartoon-inspired illustrations with humor and realism to creatively depict the concepts in the text. 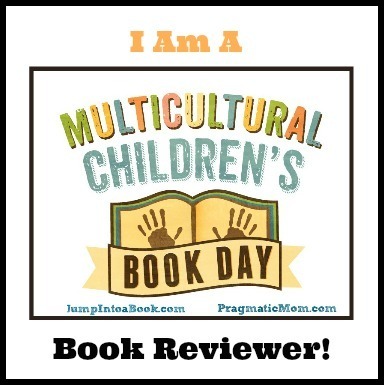 His full and half-page vibrant and dynamic scenes of people baking in various types of ovens, shopping for ingredients, selling cookies, and more excellently bridge the transition from picture books to chapter books for developing readers. Images of clay ovens, Colonial homes, early-model refrigerators, factory assembly lines, and others bring the text to life is ways that kids respond to. For developing independent readers or as a read-to for kids interested in history, baking, and the origins of one of their favorite snacks, The Way the Cookie Crumbled dishes up a winning gift or addition to a child’s library. To learn more about Jody Jensen Shaffer and her other books, visit her blog! A gallery of illustration work for kids and adults as well as video awaits at Kelly Kennedy’s website! 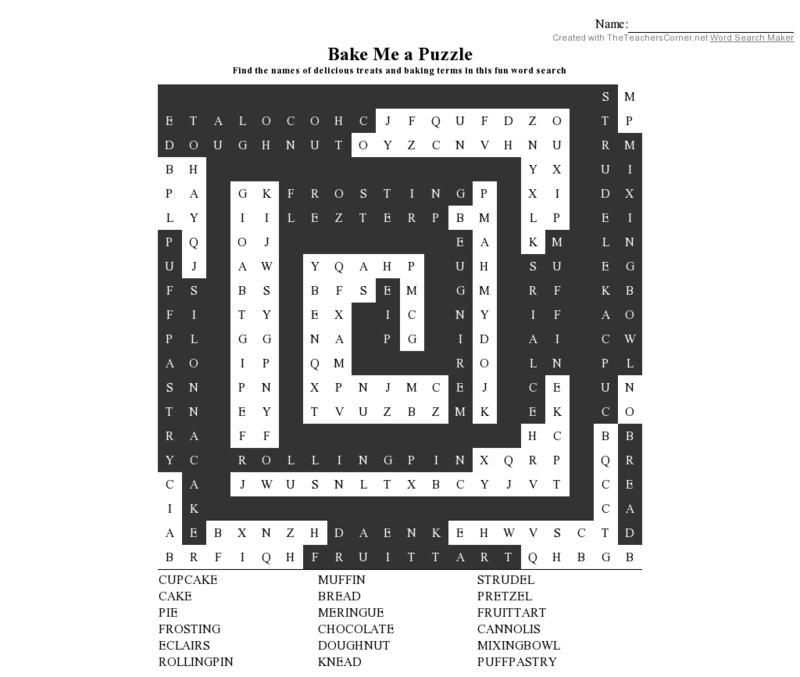 Do you know a recipe for fun? 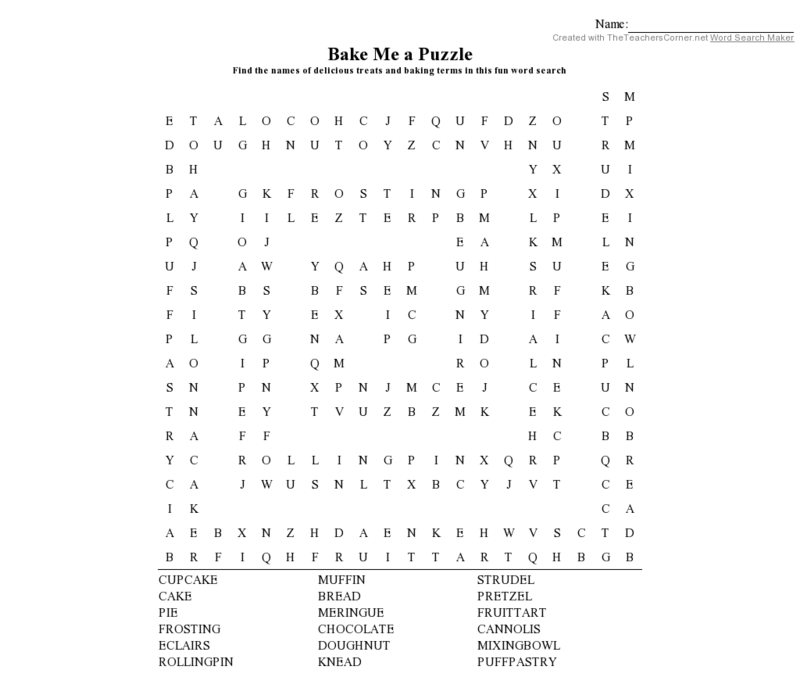 Finding the eighteen baking-related words in this printable puzzle!